Important reminder for everyone riding the EB100 next week. The roads are not closed. You are expected to follow all traffic laws. If you are caught breaking them you will be disqualified. The trail sections are also open for other users, including bikes, horses and atvs/motorbikes. So keep your head up and follow the trail rules (If you see a horse, stop, ask the horseback rider for instructinos, let them pass…) The local equestrian community is aware of the event and the route so most of them will be avoiding the trails we are using.There are a LOT of hills and double track which will provide lots of opportunities to make up the 10 seconds you may have to wait… and it is hard to win when you are in an ambulance. The last 3k is on a road with no traffic and on private property so lots of chances there. The race/ride will start and finish at Brimacombe Ski hill in Orono Ontario. We will take you on some epic roads and trails including the one in the picture at the top. That is about 25k in. There are some climbs. Some of them you will have to get off and run up (unless you are on a big fat mountain bike). And there are some fast open paved road bits which will have you up in the 53t ring on a road bike for a bit. The first pre ride went really well. Lots of smiles and lots of challenges. Just be warned, the course is designed so that there is no one perfect bike. The course is designed around the current ‘gravel bike’ genre. (Pre-rides last year had riders looking for a Slate to borrow… ) Look for KILLER draw prizes leading up to the race. Register early for your best chances to win. When: August 24, 2019. Day of registration open 7-8am, all distances start at 9 am. Podium will be when most of the field for that race is finished. We will give a 30 minute warning. Where: Brimacombe Ski Hill. 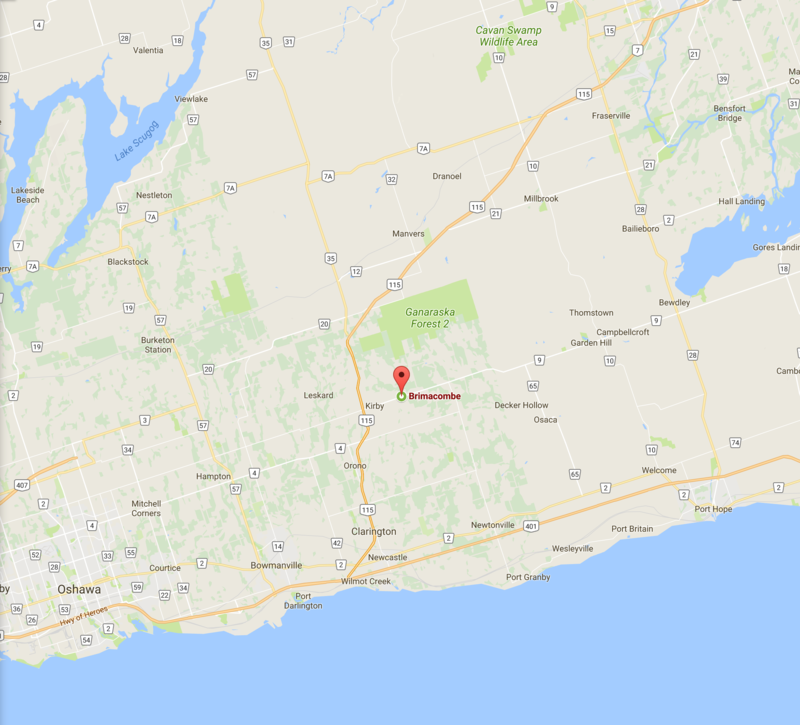 The start/finish is at 4098 Regional Road 9, Orono, ON L0B 1M0. Use gate 4. 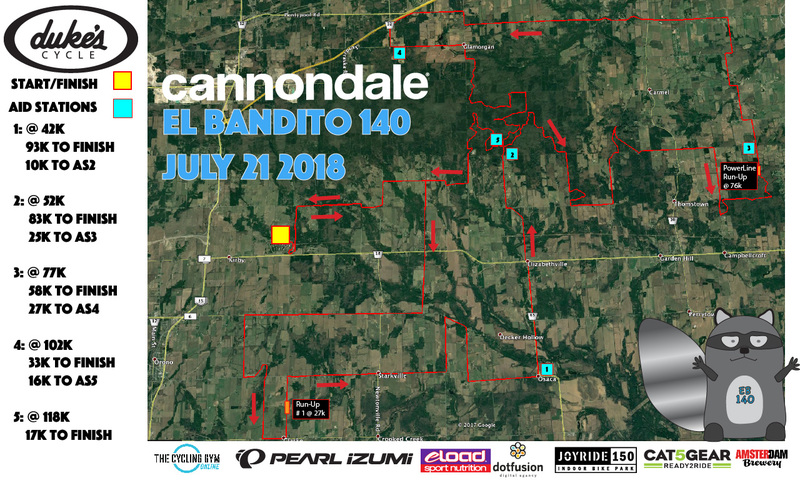 40k skips the two main climbs on the 70k course and heads straight to the first aid station when you head south of Ganaraska Rd. Keep your head up for the turn. There will be some big green signs. Whining: We will have a strict ‘No Whining’ policy. If it was easy and all downhill then it wouldn’t feel like you have accomplished anything. Bike: What bike can you use? Any bike you want as long as it is pedal powered and has two wheels. We love the gravel/cross bike stuff and the course is designed around them but you may want something else and if you are happy, we are happy. We like bikes! Signage: There will be lots of signage on course. Arrows warning of a turn, arrows telling you to turn, arrows telling you that you have made the right turn, arrows telling you to go straight…. Lots of arrows. 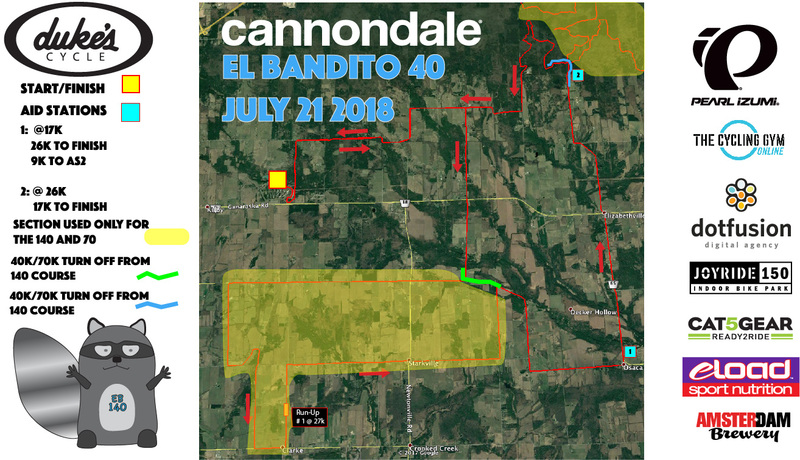 Aid Stations will have: eLoad, water, coke, bananas, gummy stuff, chip (salty) stuff, other candy, a floor pump and what ever you send out in the drop-bags. The drop-bags will be taken out the morning of the race so you can drop up to a X-Large Ziplock bag in one of the 5 bins at registration under the info sign. Remember that the bins will be brought back after the last rider goes by so if you want to take off quick don’t send stuff you can’t part with out there. You are required to be self supported though so carry tools and tubes or other parts you might need with you. We will not allow ‘private’ support on course as it contributes to far too much traffic on narrow winding roads already taxed by the race. It is also a little unfair to others. If you have someone who wants to support you they can help out at an Aid Station and support you as well while they are there. There will be a lead motor bike to make sure the course is marked and safe and that other users are warned that people in bright spandex are coming shortly. There will be rolling first aid provided by the amazing crew at Odyssey Medical, and there will be a sweep vehicle courtesy of The Cycling Gym to scoop you up if it is too much. But they are at the back so best carry spares and keep rolling. We want you to finish this. Route: Varied. This race has a little something for everyone. There will be some gravel roads, some dirt roads, some paved roads, some sandy bits along with some ATV tracks and some road allowances. There may even be some very mellow single track and mtb trail. You could ride a mountain bike, and you will make up some big time on the sandier/trail bits, and you could ride a cross bike and make up time on the paved bits, or you could ride a gravel/monster-cross bike… well you get the idea. 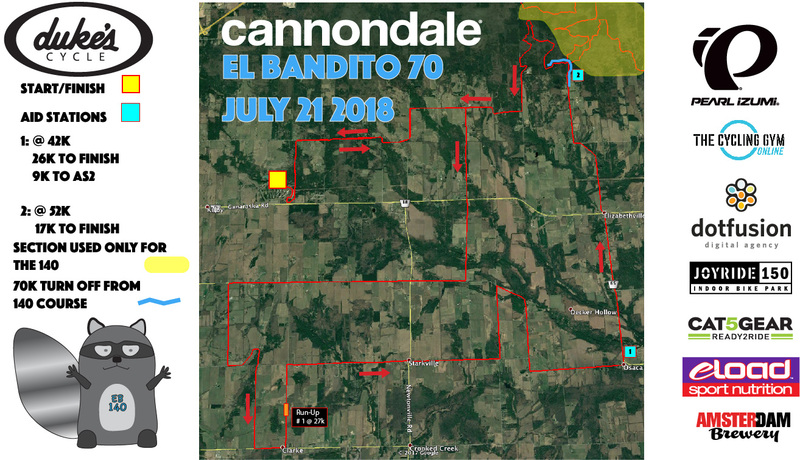 This will be a very fun and diverse ride which will require skill and fitness to win, but anyone can ride it and have a great time and enjoy some great scenery along the way while exploring Southern Ontario from a bike. You don’t need expert MTB skills to have a great time. Course profile for the EB: 2154m of climbing. What is the Ontario Gravel Series? It isn’t anything. It is just riding a bike, whatever bike you have/want to ride, on a bunch of different surfaces for fun in a race. Without alliteration. You don’t even have to race. Just ride on a well-marked scenic course with some aid stations along the way. 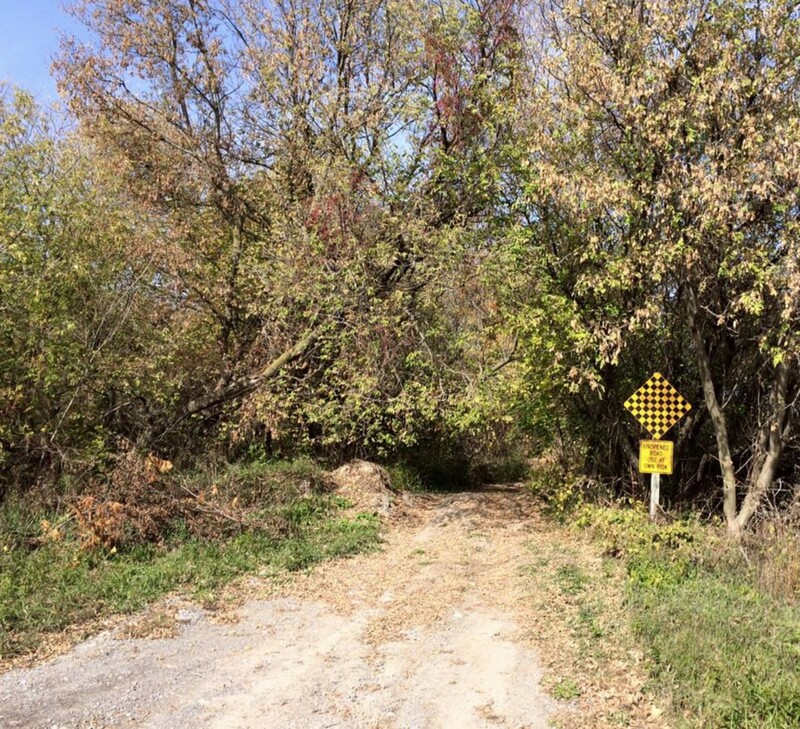 It can be gravel, it can be dirt, it can be atv track, it can even be a bad pavement. It will be fun. Course Cut-off Time: For the first year we are not having a ‘finish in the dark’ option. So the course will close at 8. We will post the cut-off times for the aid stations shortly but we want you to finish and don’t really want to be driving you back in! The course is marked with big orange arrows. If the arrow is pointing up, go straight. If the arrow is pointing to the side, turn that way. If the arrow is on angled 45 degrees to one side, you are about to turn that way. If you pass an orange X you are going the wrong direction. Go back and find the error of your ways. 3. Course Split: There is one where the 40 splits off and one where the 130 splits off. There are warning signs and then big signs there to remind you which way to go. The signs are even colour coded for to match your number plates. Keep your head up and note that at about 13k the 40 course goes left and the 130/70 go right. Then at about 50k (for the 70 and 130 people…) at aid station 2 the 140 course goes right while the 70/40 course go left. Please pay attention, every year at the Mohican 100 people take the wrong turn and they have a 4’X8′ sign! 4. Getting Help: Odyssey Medical is there to help. They have dealt with WAY worse than anything you can throw at them in a bike race but lets not test that. K? If you are in need of help, or someone else is in need of help please let us know how many km you have covered. This is the easiest way to find you quickly and safely. Roads help but distance is key. The number to call will be posted at sign on. We will also have a vehicle at the back of the race and one part way through the pack to try to be as close as possible to anyone in need. 5. Traffic: The course is open to cars and traffic except the first and the last 1k. You are required to follow ALL TRAFFIC LAWS on all roads. 7. Good Neighbours :PLEASE DO NOT LITTER! If you are found to be dropping packaging or bottles intentionally you will be disqualified from the event. We want to run this race again, and if people find litter on the road we will not get the permits to return. Also the Aid Stations are mostly on private property with the owner graciously allowing us to use their land. Don’t make a mess or use their property as a toilet. The most important thing, though, is to have a great time! You are riding your bike with a great group of people through some scenic and challenging terrain. Enjoy it!